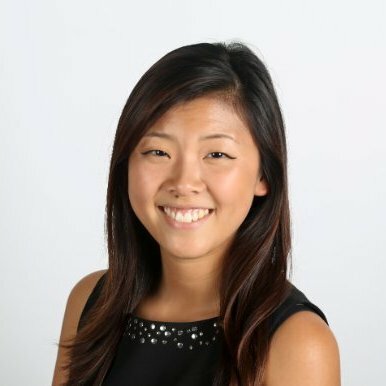 Learn how to prospect on LinkedIn in this social selling beginner’s guide to using LinkedIn basic search functions. All the talk about today’s empowered buyer is enough to make you think sales reps have no choice but to sit back and wait for prospective customers to reach out. But that’s not true. Using social media, sales professionals can identify and engage promising prospects, and inject themselves into the purchase process when they might otherwise be sitting on the sidelines. 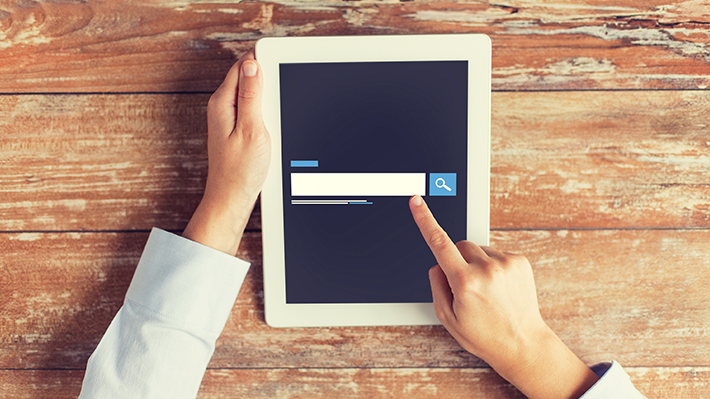 In this post, we’ll show you how to use LinkedIn’s Basic Search (read: free LinkedIn) to your advantage. You’ll learn how to prospect smartly and efficiently to find more of the right, qualified people and the most fitting companies to target. Type his or her name into the search box. You can select from the suggestions in the dropdown list or hit enter to navigate to the search results page. Click the People filter at the top to see only people results. 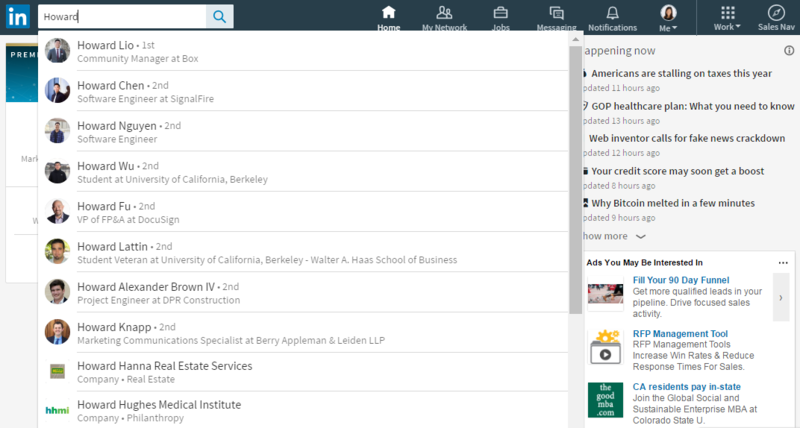 You can narrow your search by using the filter options on the right-hand side, such as by location, company, past company, industry, and school. From the search results page, select a member's name to view his or her profile. Here you can message them, connect with them, or follow them for future interactions. If you’ve already landed the perfect customer – or identified the ideal prospect – you can find similar profiles with the click of a button. Just navigate to the profile of one of your best customers or prospects, and then look at the "People Also Viewed" box in the right-hand pane. 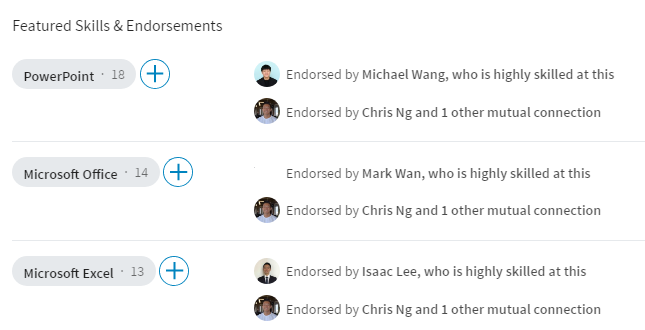 This will display other members similar to your chosen contact. You can also find look-alikes by browsing the “Skills” section of one of your best customers or prospects. Those who have endorsed that person are likely to be of a like mind and perhaps even in a similar position and company type. Type the company’s name in the search box. You can select from the suggestions in the dropdown list or hit enter to go to the search results page and click on the “Companies” tab. 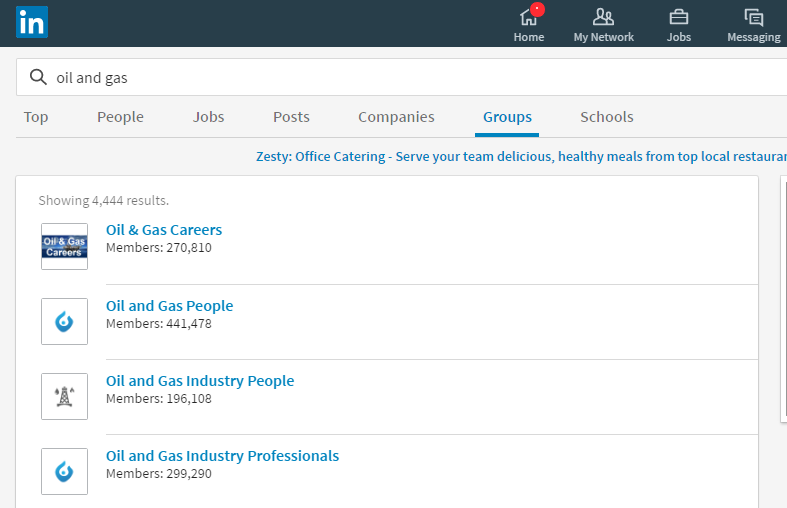 You can find all of the most recent updates posted by the company by going to their company page and selecting “See all updates” in the About Us section. By combing through the most recent updates, you’ll have a better sense of which issues may be top-of-mind for that company and in turn prepare a more personalized outreach. Before moving on from the company page, you may also want to check for any “Affiliated Companies” or “Showcase Pages” for important details about its business. Affiliated Companies can be found in the About Us section of the company page. (Click Show details to expand). Affiliated Companies represent subsidiaries or other related companies to the parent company. 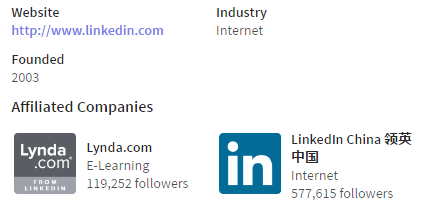 As you can see, Lynda.com and LinkedIn China are both affiliated companies of LinkedIn. If you are prospecting to a larger-sized company or conglomerate, this is an extremely helpful resource to gain an understanding of how the business might be structured or if the company has participated in any mergers & acquisitions activity. Showcase pages are not the same as Affiliated Companies because they are designed to spotlight a brand, business unit, or initiative for the parent company. 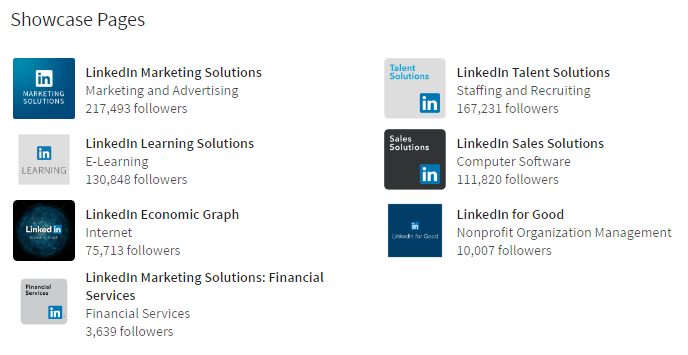 In the example above, you’ll see that LinkedIn has separate showcase pages for their four Solutions – all of which are the different “lines of business” within LinkedIn. You’ll also see LinkedIn Economic Graph and LinkedIn for Good, which are unique company initiatives apart from the lines of business. Use this section to glean how a company may organize itself internally – perhaps by line of business or by region. Also use this section for thoughtful conversation starters. For example, company initiatives may not receive as much press coverage, but may be well-known to internal employees. By mentioning a “less-noticed” initiative, your thorough research may be more noticed by your prospect. 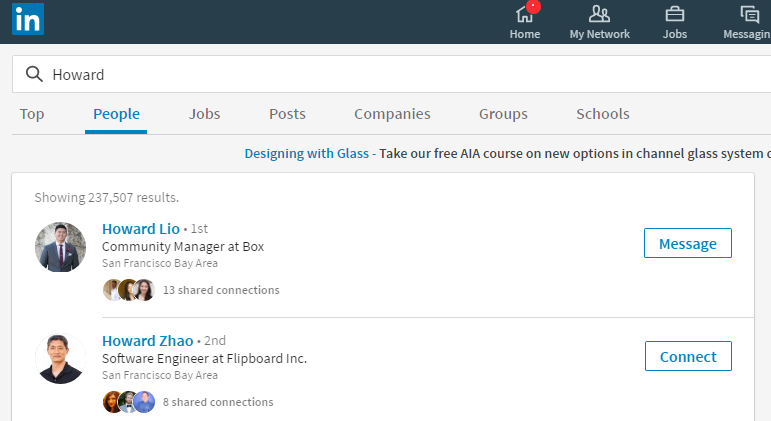 Finally, a search filter that is often overlooked and underutilized is the Groups tab. Say you’re looking to prospect into a specific industry – let’s use oil and gas in this example. As a next step, you can select the group that fits your interest and click “Ask to join” to be part of the group. The best use cases for Groups are social listening and identifying industry thought leaders. Often times, you’ll discover discussion threads about an industry’s pain points and trends. Group members who contribute educational and insightful content are acknowledged as thought leaders. It may be worth your time to connect with the thought leaders to do more in-depth research on the industry. And over time, you may want to begin contributing your own content within Groups to build your brand as a subject-matter expert. A word of caution: be careful to not overly self-promote in these Groups. A well-managed Group will have Admins who monitor for posts that are too “salesy” or self-serving. You don’t want to risk being kicked out. Instead, respect the community rules and take the conversation off of the LinkedIn Group if you want to get specific about your business or products. Last, but not definitely not least, some of you may be wondering about your old search features (before the user interface update). Do not despair, we are bringing back some of your favorite features (yes, even search alerts). And if you’re interested in a more rigorous and time-saving search experience, be sure to check out LinkedIn Sales Navigator. We just announced several new updates and there’s more to come.